If you are having financial problems, are over 62, and have equity in your home, you may want to consider a reverse mortgage. 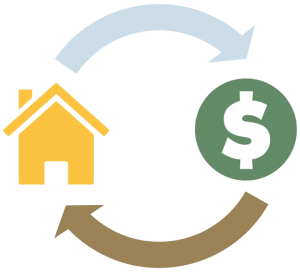 A reverse mortgage is a loan for which your house is collateral, similar to any other mortgage arrangement. While many believe that you must sell your house when you die or the reverse mortgage ends, borrowers or their beneficiaries can repay the loan with other assets and keep the house. It may be wise to take out a reverse mortgage a few years before depleting other assets, so you can slow down the pace of spending from your savings or investment portfolio. It is not the case that the bank can foreclose on a reverse mortgage if your home value decreases or goes below the loan balance because they are federally-guaranteed loans. This will enable the borrower to live the rest of their life in the home – provided they continue to use it as their primary residence, pay property taxes and maintain the home according to the FHA health and safety standards. At one time, origination fees on reverse mortgage loans ranged from $2000, in lower home value areas, to $6000, but most lenders now offer zero origination fees, with some even paying closing costs. Many lenders also offer no servicing fees with these loans, and the closing costs are comparable to those of a traditional mortgage. 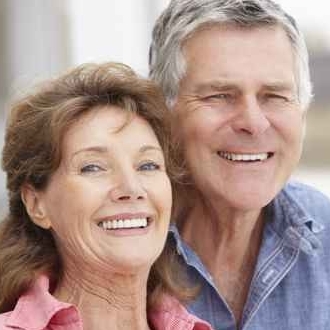 We are happy to provide answers to questions you may have about how to address the financial issues that are leading you to consider a reverse mortgage. Please contact us if we can be of help.